Agnes is an elegant design, featuring a modular anodized aluminum structure with articulated joints. Articulated joints allow for the lamps to be rotated to irregular angles or be arranged vertically in a church-like state. 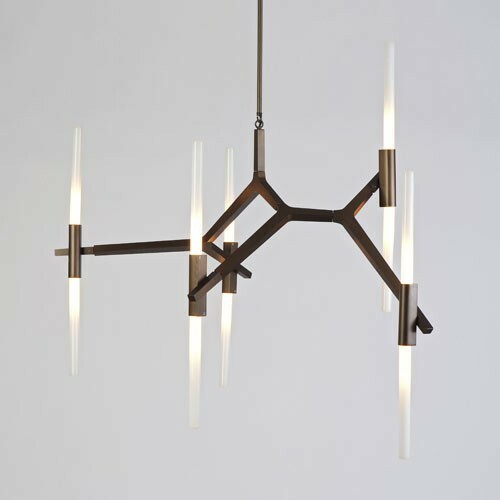 The 6 light chandelier provides diffused ambient illumination. 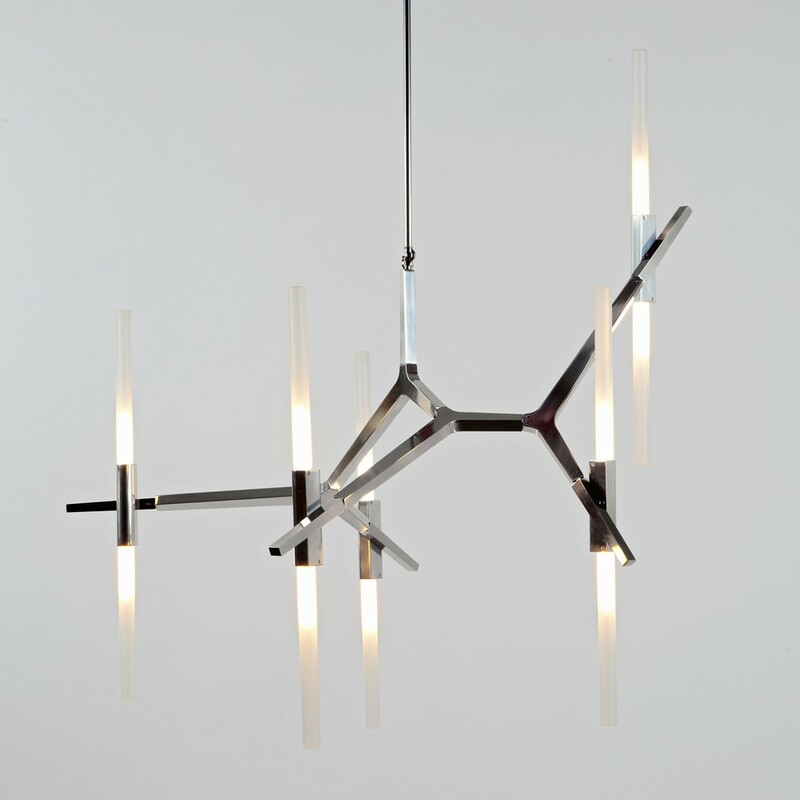 Agnes 6 Light is suspended by a half-inch in diameter 35" long stem, with hang-straight canopy. Soft white glass cylinders encase the light source. Available in choice of four finishes. Offered with E17 incandescent or G9 LED lamping options.